Supporting AZAFAP just got easier! Use your Fry’s VIP card every time you shop at a Fry’s and AZAFAP will reap the rewards. Make sure to link your existing VIP card to AZAFAP in your Fry’s account settings (see Step 2 for details) OR if you aren’t a VIP card holder yet just follow the instructions in Step 1 to get one. THANK YOU for shopping at Fry’s! 4. Select ‘Use Card Number’. 5. Enter your Fry’s V.I.P Card Number, last name and postal code. 6. Under ‘Select Your Preferred Store’ enter your postal code. 8, Choose your store then select ‘Create Account’. 9. You will then be prompted to check your email for a confirmation email. 10. Click the hyperlink in your email to finish creating your Online Fry’s Account. 11. Continue to Step 2 to register for the Fry’s Community Rewards Program of your choice. 4. Select ‘My Account then select ‘Account Settings’ from drop down menu. 5. Click ‘edit’ under Community Rewards. If prompted, enter personal information. 8. Then select ‘save changes’. 9. If you have registered correctly, you should now see your organization information listed under ‘Community Rewards’ on your Account Summary page. 7. Under Find Your Organization: Enter our name ‘Arizona Association for Foster and Adoptive Parents’ then select ‘search’. 8. Under ‘Select Your Organization’, click on the circle next to our organization. If you have re-enrolled correctly, you should see a green box with “Your enrollment in the Community Rewards Program has been updated. Thank you for participating!” You will also see the information listed under “Community Rewards” on your Account Summary page. AmazonSmile is a simple and automatic way for you to support your favorite charitable organization every time you shop, at no cost to you. When you shop at smile.amazon.com, you’ll find the exact same low prices, vast selection and convenient shopping experience as Amazon.com, with the added bonus that Amazon will donate a portion of the purchase price to your favorite charitable organization.  Arizona Association for Foster and Adoptive Parents is one in nearly one million organizations to support. Go to AmazonSmile.com to show your support. Match your gift and double the impact of your donation. Thank you for your gift. To make your donation even further, check to see if your employer has a matching gift program.